Botulinum Toxin A (BTX) is more commonly known for its trade name: Botox. Dysport and Xeomin are two other FDA-approved brands. BTX is actually a neuromodulator used to relax muscles, hence preventing the wrinkles or bulkiness that comes along with strong/big muscles. However, it is important to note that BTX has most effects on dynamic wrinkles (wrinkles that come on with movement) and bulky muscles (for face slimming or calf slimming) only. Before I move on to discuss effective BTX injections, let me debunk some common myths and questions I get from my patients. Myth 1: BTX doesn’t last and needs to be topped up forever. This is not true! With each BTX injection, the muscles targeted gets weaker and shrinks with time. This means each session of BTX should have more long lasting effects than the session before! This clinical study showed how multiple sessions of BTX injections give more long lasting results each time (1). Why is this so? BTX starves the muscles from a work out, and the mode of action is similar to preventing an athlete from exercising. With totally no exercise, the muscle group goes to waste (atrophy) and achieves a permanent shrinkage. These muscle does not grow back again unless the athlete goes back to training that muscle dedicatedly. I always advise my patients that effects from the first session usually last only 3 to 4 months, but each subsequent session will give effects ranging from 6 months to a year. Myth debunked: BTX should not be a fixed routine every few months. Very often, you may not need the repeated jab that you think you need. Find a physician who will take care of your needs long term and advise you accordingly. Myth 2: BTX causes fake and plastic faces. False again! Frozen appearances and fake looking smiles are caused by doctor screw ups. If you ever get this symptom, don’t accept the reason that botox is the cause! This happens when physicians paralyse the muscle group completely instead of only the wrinkle causing portions of the muscle. I will explain more below with the technique I use. 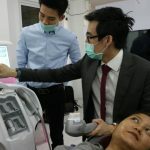 Myth debunked: Experience in natural injection techniques matters, especially when doing treatments for the face. I have experience with Botox, Dysport and Xeomin in my practice. From my medical perspective, all three are quite similar now in terms of results and duration of effects. In fact, when Dysport first launched, it was purer product than Botox was. Botox subsequently lowered its impurities to catch up to its competitors. Xeomin boasts to have the least impurities out of the three. Myth debunked: An experienced aesthetic physician uses many products and selects his choices based on evidence from clinical studies and latest updates in the field. Myth 4: Everyone can use BTX to slim faces and requires maintenance injections forever. Unfortunately, botox is only effective for face slimming in individuals who have enlarged masseter (jaw) muscles. In my practice, I have discovered many patients who undergo this jaw slimming injections at many other centres when they do not need it. Poor patient selection can be one reason for that. With good patient selection and standardised patient photography, patients always appreciate the outcome of this useful procedure. Myth debunked: A proper assessment by your aesthetic doctor is needed to ensure you are suitable for this procedure. If you see little results from your procedure, and your physician has no before/after photos to show you the effects, it is very likely that whatever was done did not work for you. Myth 5: BTX is only used when people develop wrinkles. On the contrary, botox should be used before we develop imprinted wrinkles. Imprinted wrinkles are formed by strong and repetitive muscle movement. 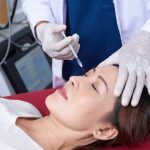 By the time they form, they have left a lasting mark on the skin surface (like scars) and will require multiple costly sessions of laser resurfacing or even facial fillers to efface them. This long term study (2) showed the preventive effects of BTX on wrinkle formation by comparing one twin who underwent regular BTX injections with her identical twin who did not. Results show that BTX was safe for use over 13 years, and the twin who received regular injections had lesser imprinted wrinkles than the one who did not. Myth debunked: BTX treatment should be started before imprinted wrinkles appear on the skin. Any hyperactive muscle groups should be targeted early to prevent wrinkles, rather than to treat them when they arise. BTX, regardless of brand, is costly to the consumer as well as the doctor. To maximise the effects of BTX, as well as create natural results, I inject in a plane whereby the BTX creates skin benefits as well as muscle relaxation. In so doing, I actually use more BTX than what it would take if I simply inject into the muscle directly. Yes, that’s right. I actually use more units of BTX to create a natural looking and beneficial result. This may be counter-intuitive to some: most believe that a natural look is achieved by using less/diluted BTX. It is not the amount of BTX used, but rather the technique that is used to create this natural result. Another benefit from this technique is that I do not cause any bruising since there are very few vessels in this special plane where I inject. The result is a no-downtime and safe session of BTX that reaps maximal benefit in all layers of aging. Wrinkles should disappear without losing your facial expressions. Results should become more long lasting with each injection. Results are visible usually within days, not weeks. Results from BTX injections are extremely satisfying if correct patient selection is exercised. BTX has a proven preventive effect against wrinkles. 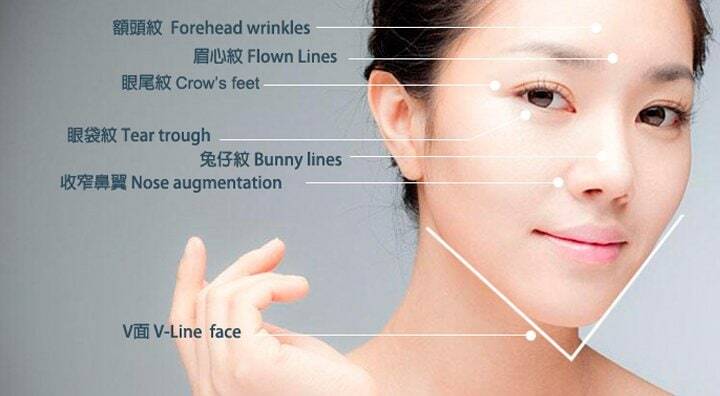 Skin looks much younger if used for this purpose. The latest exciting development about BTX show that it has skin benefits apart from muscle relaxing benefits. What does this mean? Some of us may have heard of ‘Botox in a Jar” creams. The truth is that there is new and exciting research data about the benefits of BTX on the skin – it apparently helps with collagen remodelling. This is already being used for prevention of keloid scarring. Research so far has shown that intradermal injections of BTX also helps with skin tightening, and to some extent, reduction of imprinted wrinkles (though it is never used solely for that purpose).